Magic: The Gathering ’s 70th expansion Shadows over Innistrad is finally here, and it’s a return to the creepy, twisted world of Innistrad—and we have an exclusive look at some of the amazing art and cards that are part of this new wave of collectible cards. 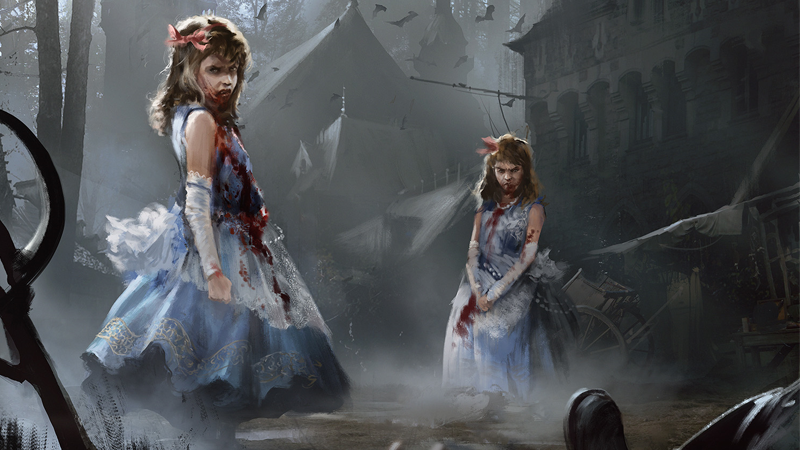 Shadows over Innistrad brings 297 new cards to Magic: The Gathering, all themed around the gothic plane of Innistrad—werewolves, zombies, creepy abbies, you name it, and it’s found here! As well as bringing back big Magic lore characters like Avacyn and the familiar spooky locales of Innistrad, Shadows over Innistrad also sees the return of mechanics like double-sided cards, Madness (which lets you recast spells from your graveyard) and Transform (allowing you to flip over those double-sided cards and get new abilities), as well as new ones like Delirium (which unlocks bonus card abilities after a certain different types of card have entered your graveyard), or Skulk (a creature ability that means they can’t be blocked by stronger enemies). We’re proud to debut seventeen pieces of art from Shadows over Innistrad, as well as their matching cards from the new set—so you can see the amazing work that goes into each card, as well as how they’ll work in the game itself. Shadows over Innistrad boosters and intro decks are available now.